Skin care is important whether you’re still trying to fight off acne or delay the signs of aging. 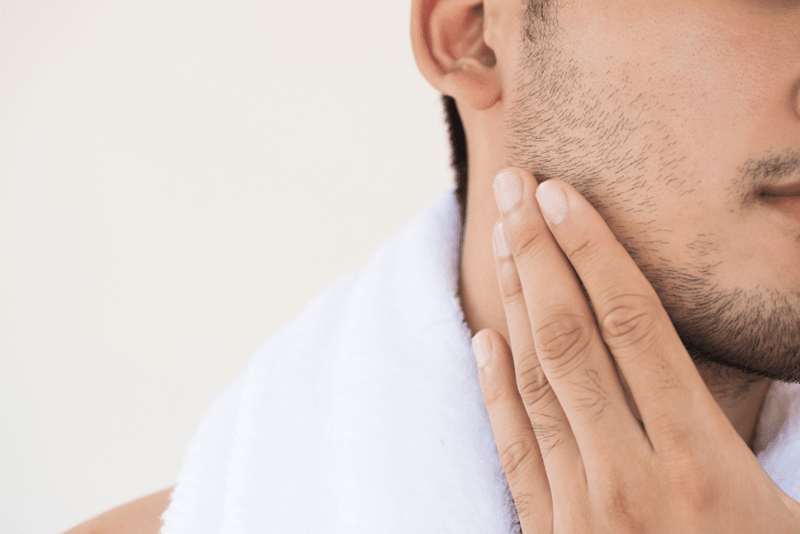 Healthy skin for men is possible by following a diligent skin care routine and practicing healthy habits. The old soap and water routine works. However, a glycolic acid wash will more effectively clean those dead skin cells away. A good wash in the morning can wake you up, and at night will yield clean skin before going to sleep. An exfoliating scrub, once or twice weekly, can deep clean your skin and stimulate new cell growth. Rub in a moisturizing lotion after cleansing. For the best result, apply a moisturizer while your skin is still damp. Moisturizers are essential for winter dry skin, and even in the summer if you spend lots of time in air conditioning. If you are prone to acne breakouts, substitute an oil-based lotion with a water-based product. Excess caffeine and alcohol can dehydrate you and your skin. Making sure you drink lots of water, about 6-8 glasses a day, will help keep your skin moist and hydrated from the inside. Before you shave, use warm water and a cleanser. Then use an exfoliator to smooth out your skin, apply a pre-shave oil, and then apply shave cream in an upward motion. This lifts hairs up and away from skin. Your razor should be clean and sharp; replace it every six to eight shaves. And shave in the direction your hair feels smooth. To protect your skin, eat plenty of antioxidant-rich fruits and vegetables. Antioxidants fight off free radicals, which can age your skin faster and exacerbate inflammation and sun damage. On the other hand, too much sugar can spur on inflammation and breakouts. Deserts and soft drinks are the most obvious sugar sources but watch out for flavored yogurt and cereals as well. Exposure to UV rays can age your skin quickly, causing wrinkles and making your skin less elastic over time. Protect yourself by reducing exposure and applying a sunscreen or moisturizer with an SPF of 15 or higher, with broad-spectrum UVA/UVB protection. Retinol cream boosts collagen production and cell growth. Even in your 20s, start thinking about keeping your skin plump and moist. It can delay the formation of fine lines and wrinkles. A retinol/moisture combo works best. Cigarette smoke decreases blood circulation to skin, slows collagen production, and can give you pale, yellowed, and sallow looking skin. It can cause premature aging as well. Seven or eight hours of sleep per night can yield healthy skin for men. Although not a direct skin care routine, sleep is when your cells are repaired. Enough sleep every night can fight off breakouts, fine lines, and wrinkles. At the Laser & Dermatology Institute, we offer the best skin rejuvenation services in Southern California. From acne treatment to laser wrinkle, spot, and tattoo removal, we can help at one of our three locations—LDI of Los Angeles, LDI of Covina, or LDI of Newport Beach. Self-schedule your appointment online or call 866-809-1102 today.